Verm seems to be a bit difficult to find, perhaps because of the asbestos scare associated with verm. I don't believe either coco or poly have been suggested as alternatives to verm in the substrate itself. Polyfill can serve as an alternative to verm seal in jars. Either poly or coco can serve as alternative to verm in 50/50 casing. Are all those statements true? Verm is the best, and only thing that I have heard you can use to mix with brf in the jar. The verm seal isn't really required. It reduces contams, but you don't "really" need it. Yes, poly fill can be substituted, but I believe verm. is better. many things can be used to case. Fanaticus even suggests using perlite as your bottom layer. And for the top layer, coco fibre is even better than verm. don't use the verm seal layer... it isn't really needed. If you are going PF you are going to wanna find verm. Pure rice cakes don't tend to fruit like PF ones unless cased. The top verm layer acts as an excellent barrier against infection in the jars. You should be able to find it. It is one of the most widely used mineral substances on earth. I know they sell it mail order on many internet sites. A large bag will last for ages. PH. In the near future I plan to test this idea. could be replaced with peat adjusted with lime. Hmm, actually neither of the 3 statement is true. Which 3 statements, why and what is true!? Why does everyone keep saying that vermiculite has been so freaking hard to find? I see it everywhere i go.... i nought TEN bags of it when i heard that it might be getting scarce.... and yet still, everytime i goto any store's garden section around my way they have at least one skid worth of vermiculite (about 50 bags)... If you are REALLY having a hard time with getting some and want some, let me know, i'll get ya some. >alternatives to verm in the substrate itself. Wrong. Coco coir can and has been used as vermiculite replacement in PF cakes with success. >Polyfill can serve as an alternative to verm seal in jars. Wrong. 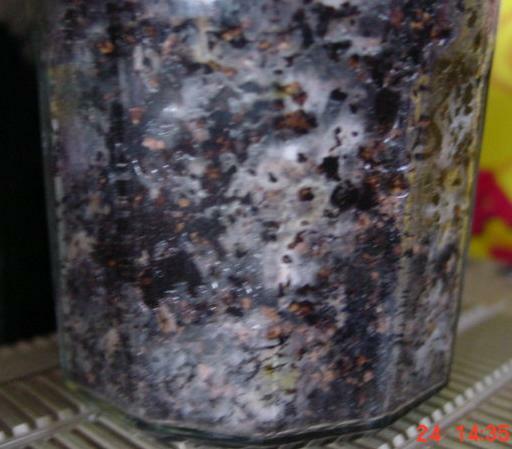 It can not replace the function of the vermiculite layer in PF jars. What it can be used for, is for creating a filter for gas exchange when using rye, birdseed or any other shakeable substrate. Partially wrong. Newer heard of anybody using polyfill as verm substitute in casings. Can?t imagine either. Coco coir can be used as casing materials, either as is, or with addition of vermiculite, peat, limestone and crushed oystershells. Have you ever actually had polyfill in your hands?? Anno, polyfil can replace the function of the verm seal layer. Does the job just fine. Also over at mycotopia there is a guy who has been trying (successfully) polyfil as a verm replacement in the substrate mix. He says it's doing fine so far. Also posted a few pics of polyfil cakes. I've used polyfil as a verm barrier replacement with no problems. Never tried it in substrate mix though. What I have used with good results is Shultz "soil conditioner". It's kiln fired clay shards, resembles tiny bits of clay pots. Works great in substrate mixes and casings. Excellent water absorbtion and good evaporative rate. A bit heavy though. Thank you for this interesting information, I learn something new every day. I've been trying a new TEK using new materials, i wanted to finish testing with a jar involving this stuff but i'm a big mouth dude, granulated cork, yes CORK is the way to go, just think a bit about what i'm saying and you'll see this material is superb in many ways. Try it with poting soil and BRF as a substrate or with peat moss as a casing layer. Just a tip, you have to moisten it with hot water to breakdown some of it's ipermeability before using it in the aplications above. It also works as an excellent contam barrier instead the normal verm barrier and it gives a more ventilated area. I'm still trying to get the proper water ratio, a little less water wouldn't hurt, but it's working great. My understanding is this stuff is very stringy. How do you recommend using it as substrate? vermic with this? Same ratios? Also , if you please, how far will a 2 lb brick of coco go? 3,003 topic views. 36 members, 118 guests and 30 web crawlers are browsing this forum. Generated in 0.107 seconds spending 0.015 seconds on 16 queries.